For our latest Bonington Vitrines exhibition we’ve invited contributions from the public to share their memories of the building (past and present), in the form of photographs, newspaper clippings, plans, stories, anecdotes and general collectables. 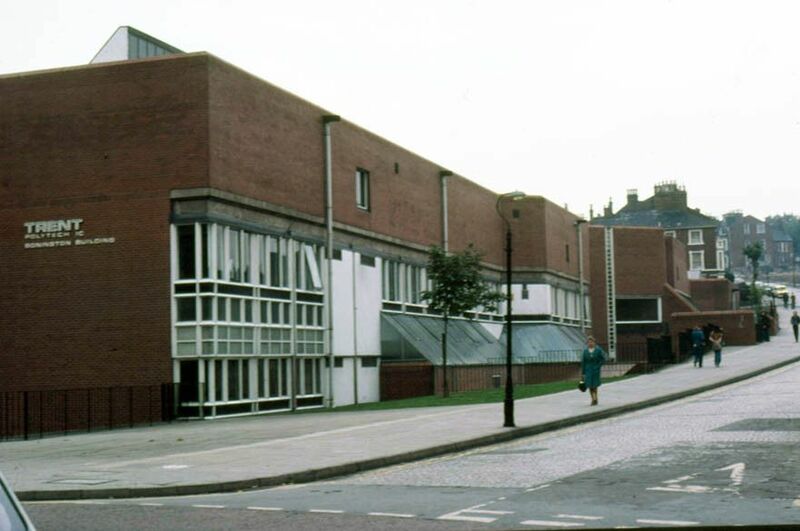 The Bonington building was opened in 1969 by Her Royal Highness the Duchess of Kent. A labyrinth by design, the three-story building offers extensive and state-of-the-art facilities in the support of art and design education in Nottingham. At the heart of the building is a purpose built exhibition space, Bonington Gallery – one of the oldest art galleries in Nottingham.